Second it is fiercely and violently opposed. Spirituality is a very personal matter. For me it is an understanding that we are ALL connected to our source and in turn to each other, and that we make a difference to our world by the way we think, and consequently behave especially when alleviating others suffering. Spirituality refers to an ultimate immaterial reality, an inner path enabling a person to discover the essence of his/her being. Spiritual practices, including meditation, prayer and manifestation, are intended to develop an individual’s inner life; spiritual experience includes that of our connectedness with a larger reality, yielding a more comprehensive self; with other individuals or the human community; with nature or the cosmos. Spirituality is often experienced as a source of inspiration or orientation in life. It can encompass belief in immaterial realities or experiences of the immanent or transcendent nature of the world. Such a definition can obviously not be explained by the objectiveness of modern day science, therefore it is non-sensed by ‘traditional’ scientific institutions. Another added confusion has been that many, including myself, did not understand the difference between Religion and Spirituality therefore any ‘issues’ one had with Religion affected, in a decremental way, ones ability to reach higher consciousness through spirituality. In the past twenty to thirty years a combination of higher consciousness and advances in science, particularly quantum / meta physics, has accelerated the parallels of science and spirituality. Meta science is now proving what spiritual people have always known. So after 2000 years we are finally getting somewhere in understanding who we really are and how each one of us influence our world !! 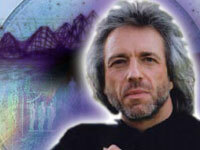 Gregg Braden is internationally renowned as a pioneer in bridging science and spirituality. Following a successful career as a Computer Geologist for Phillips Petroleum during the 1970s energy crisis, he became a Senior Computer Systems Designer for Martin Marietta Defense Systems during the last years of the Cold War. In 1991 he was appointed the first Technical Operations Manager for Cisco Systems where he led the development of the global support team that assures the reliability of today’s Internet. For more than 22 years, Gregg has searched high mountain villages, remote monasteries, and forgotten texts to uncover their timeless secrets. To date, his work has led to such paradigm-shattering books as The Isaiah Effect, The God Code, The Divine Matrix, The Spontaneous Healing of Belief: Shattering the Paradigm of False Limits. His most recent book Deep Truth : Igniting the Memory of Our Origin, History, Destiny and Fate is in my opinion his most important. His work is now published in 17 languages and 27 countries and shows us beyond any reasonable doubt that the key to our future lies in the wisdom of our past. Breath of Fresh Air ! He describes how scientists have proved that we can effect our own DNA through thought, even if it’s located miles away from us, and that the feelings of humans can be measured in space from the energy we are emitting. He also explains how amazing science break throughs do not even make the headlines….Don’t miss them. 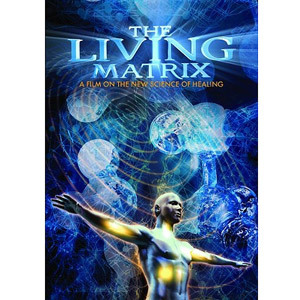 The film, The Living Matrix – The Science of Healing , uncovers new ideas about the intricate web of factors that determine our health. It talks with a group of dedicated scientists, psychologists, bioenergetic researchers and holistic practitioners who are finding healing potential in new places. Leaders in science are examining the body through the lens of quantum physics. They’ve discovered that we’re far more than biochemical machines. Instead, our cells are senders and receivers of information, controlling our health in ways we never imagined. Modern biochemical medicine has no framework for explaining these events, often dismissing them as spontaneous remissions… or the result of some kind of placebo effect. This project has been launched by the Institute of HeartMath®, a nonprofit organisation, a recognised global leader in researching emotional physiology, heart-brain interactions and the physiology of optimal health and performance. The project is ahead of its time. As with all truths it will see exponential growth in the coming years as this whole subject matter becomes main stream and taken as undeniable FACT.This understanding of higher consciousness is to play a major part in solving the many problems we face. Bruce H Lipton, PhD is an internationally recognised leader in bridging science and spirit. His books ‘Biology of Belief’ & ‘Spontaneous Evolution’ explain how science has proved that Genes DO NOT control your life & their environment does. By changing DNA environment through your thoughts you can take direct control of your life. Hear this very interesting interview with Bruce Lipton about his life and work. This next video has snippets of Bruce Lipton and Wayne Dyer exchange their spiritual and scientific knowledge. The short video below was for me a total paradigm shift on the most basic information about our universe (Milky Way) and solar system. He explains how we are really traveling through space…just like a piece of our own DNA!! We are in fact NEVER EVER in the same place for more that a thousanth of a second, and never return to the same location making every millisecond of our lives UNIQUE. There is a fair amount of videos and torrents about Haramein on the net. I attach the first part of one of his lectures. Don’t be put off by his long hair, casual appearance & presentation, or the bad video quality. I recommend you spend some time looking into this man as much of what he has to say is fascinating. At the Nexus Conference in July 2010, Haramein presented new concepts explaining how we are all interconnected and can access infinite knowledge.